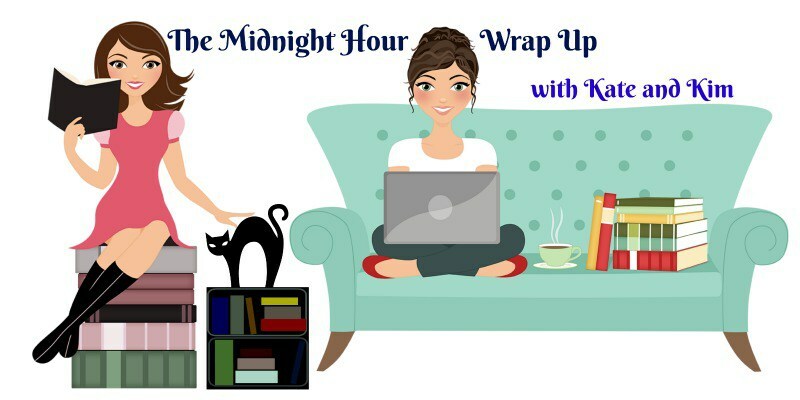 Midnight Hour Wrap Up: Bye Bye, July! Hard to believe it's already August! I feel like the summer is zooming by, and I bet teachers like Kim feel it even more. 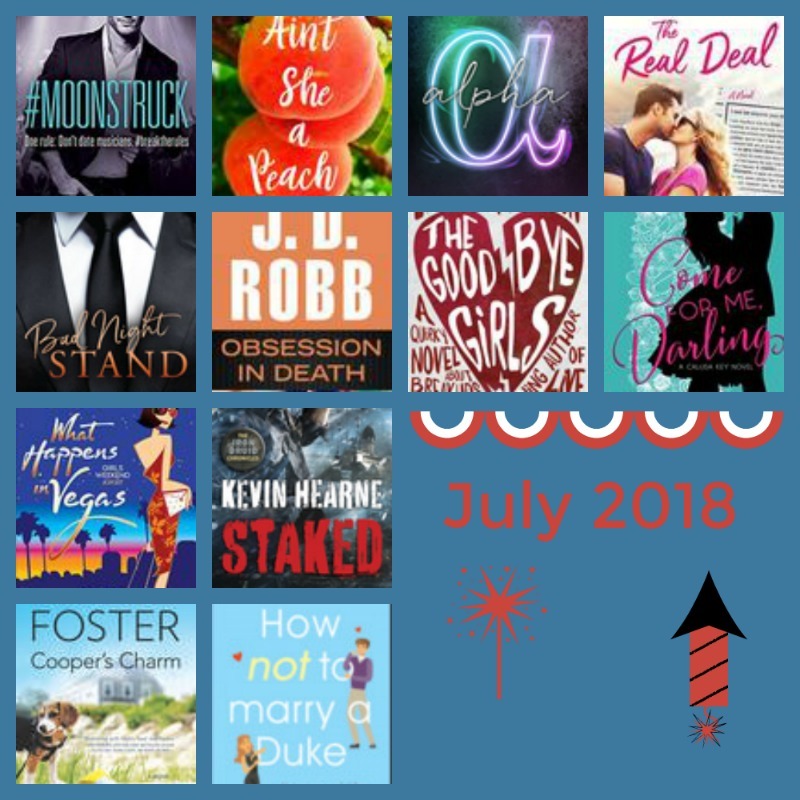 I had a pretty great month of books- lots of romance! Everything was good, with You Were Never Really Here, Dread Nation and The Foreseeable Future topping the month. I listened to 8 audiobooks (although Dread Nation and Kitchen Confidential were book club reads that I listened to and then physically re-read for note taking purposes), 7 physical books, and 3 eArcs. I was busy this month, and adding another book club to my schedule definitely forced me to read more, so it's probably a good thing we'll be cutting the cable cord soon. 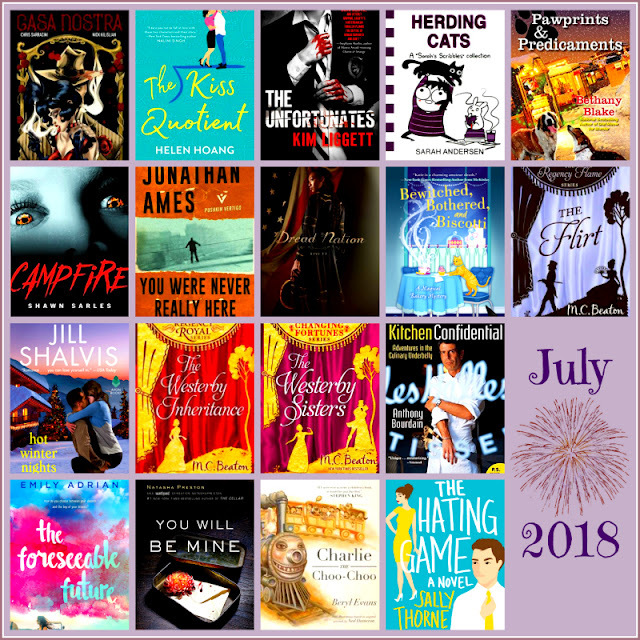 August has already brought some great books, so I'm hoping for another great month! June was filled with a lot of family stuff and I just didn't get much time to myself. July was the opposite, lots of time for reading. 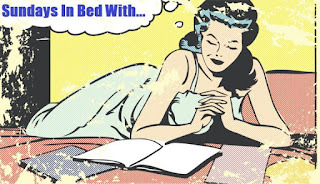 I read 12 books, the most in any month thus far. Even though I read a ton of books none of them stick out as AMAZING. My favorite was probably Staked or Ain't She a Peach. August is starting to heat up, I have some scheduled professional development coming up and at the end of the month I have to return to work. 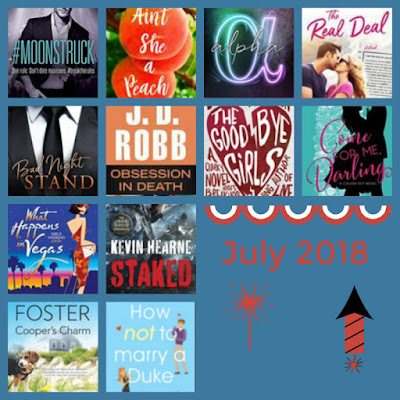 Even with all that going on I've given up on any household projects I was planning on doing (that bathroom is NOT going to get painted lol) so I'll spend some time getting ready for the school year and hopefully lots of reading.